Dr. Ng Chung Sien obtained his Masters of Sports Medicine from the University of Queensland Australia in 2012. Dr. Ng currently practices sports medicine in Changi Sports Medicine Centre and Singapore Sports Medicine Centre. He served as team physician for Singapore during the 2014 ASEAN Games in Incheon, South Korea, and the 2013 SEA Games in Myanmar. He has served as Medical Director for numerous international sporting events. He is the Deputy Chairman of Football Workgroups at the Football Association of Singapore Medical Committee. He is also the men and women’s rugby team physician for Singapore Rugby Union. 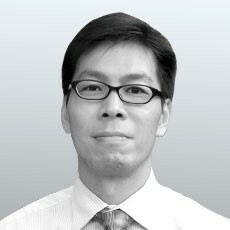 He is the Training and Education Director for Exercise is Medicine Singapore (EIMS). He has been certified by the American College of Sports Medicine for (1)Clinical Exercise Specialist, (2)Exercise is Medicine Credential Level 3 and (3)Physical Activity in Public Health Specialist. He has presented EIMS research papers in numerous international conferences.